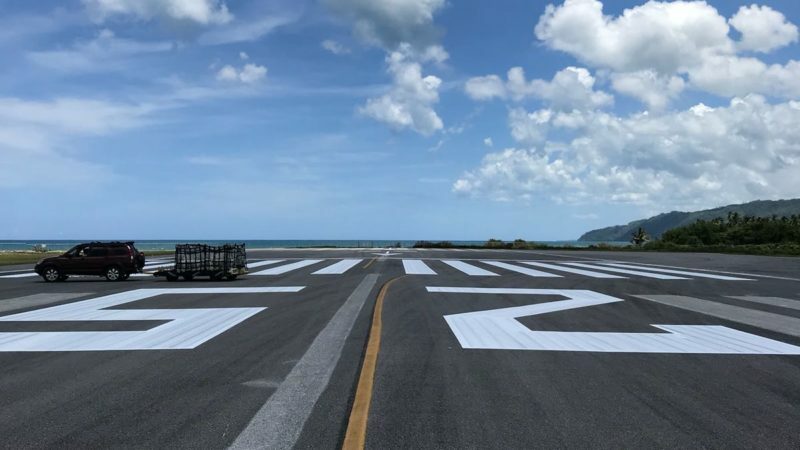 Our global Roadgrip Airports team recently undertook displaced threshold runway works at Samaná El Catey International Airport in the Dominican Republic. 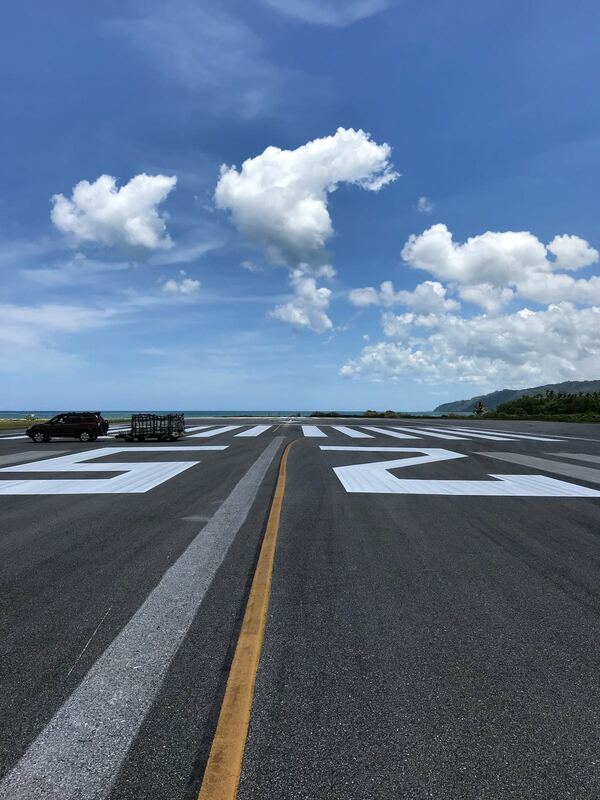 The new runway (measuring 3000m X 45m) has seen an increasing level of air traffic, so safety maintenance was required – in particular, at the displaced portion of the runway used for take-off. It is essential that the markings at the threshold are clearly marked with white lines and arrows. Our team began with the removal of existing painted markings using captive shotblasting. 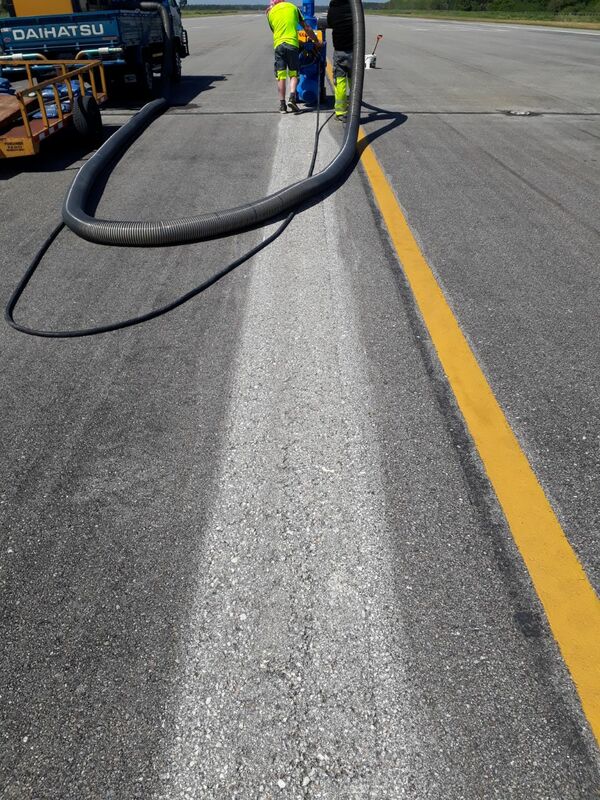 We then applied the displaced threshold runway paint using our TTP1952d water based paint system to comply to FAA and ICAO safety standards. Our specialist team have been working on runways and airfields for several years in the UK and around the world. 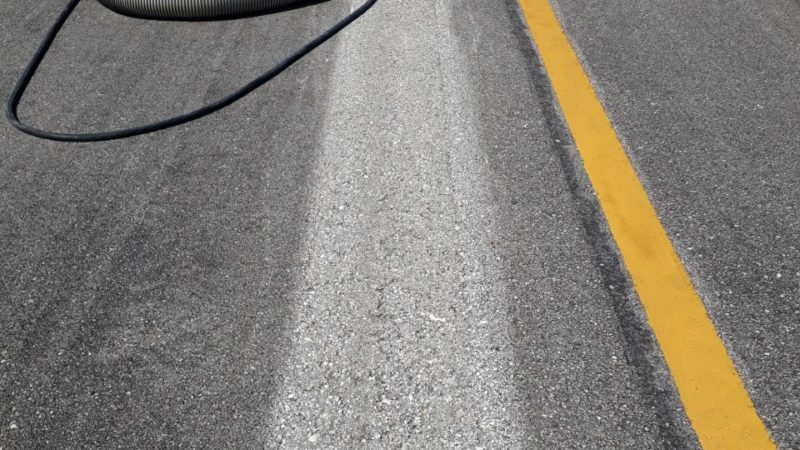 To find out more about our airport line marking and surface preparation, see more at Roadgrip Airports or contact us below for a quote.